Are you prepared to change your life through quit smoking hypnosis? Queensland. The sunshine state. Boasting over 300 days of sunshine a year and home to some of the world’s finest beaches, rainforests and theme parks. When it comes to having fun with the family there is no better place in Australia. However, if your smoking habit means you’re stuck in a crowded smoking area instead of having fun then it might be time to quit. Our quit smoking hypnosis guarantees that you’ll spend less time lighting up and more time with your loved ones. 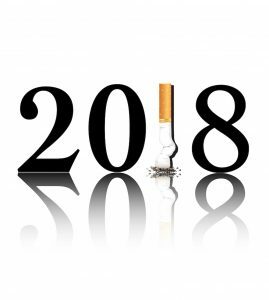 As the Quit Smoking Expert we want you to stop smoking for good so we offer distance hypnotherapy to help you quit from the comfort of your own home! We understand it isn’t easy for many people to find the time to seek treatment for their smoking habit. So we make things easy by offering convenient and flexible distance hypnotherapy, offered via Skype, or Zoom, to ensure no one is denied access to the quit smoking treatment they need. You want to be there as much as possible for your kids but if that pack a day habit is holding you back then quitting should be a priority. By giving up smoking, not only are you decreasing your risk of heart disease and cancer but you’ll be ready and willing the next time your kids need you to join them in the backyard. Maybe ‘how to quit smoking’ is a question you’ve wrestled with before. If you’ve tried patches, nicotine gum, e-cigarettes, or even tried quitting cold turkey, you know how challenging it is to give up the habit for good. With our quit smoking hypnotherapy, the answer is available in a simple one hour session. Hypnotherapy is a quick, easy and non invasive way of quitting and all it takes is 60 minutes! As the Quit Smoking Expert we guarantee you will never touch another cigarette again. Using the power of your subconscious, our quit smoking hypnosis is able to turn your addictive behaviours into anchored healthy behaviours, so that when you say you’ve quit smoking you really mean it. You know, sometimes life just happens! There are no 100% guarantees. Occasionally, the ‘unconscious mind’ still believes it is getting a ‘benefit from smoking’. It’s not failure, it just means another hypnosis is required to address that issue. If your smoking cessation isn’t permanent, or you have cravings of any sort, simply call us within 7 days, but preferably immediately, and we will provide all follow up sessions absolutely free. Our lifetime guarantee means that if you want to quit then we won’t stop until you do! But we can’t help, if you don’t let us know! Call us on 1300 64 53 54 or contact us today to make the healthy change.